A Forex Trading Expert Advisor that uses Average Directional Index (ADX) and Commodity Channel Index (CCI) indicators for its operation. It open order by the help of these indicators and set stop loss and target Point for every trades opened. 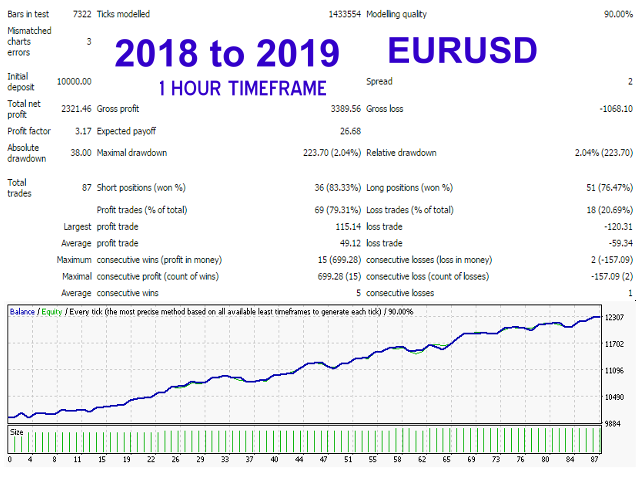 For default setting, it is recommended to use the EA on pair - EURUSD, and on 1 hour timeframe. It can also be used on any timeframe and pair after optimization on the selected timeframe and pair. PT_MaximumTolerantSpread - maximum value of spread for opening any trade. NOTE THAT THE EA DOES NOT AUTO DETECT IT FOR 5 DIGIT QOUTE. YOU SET YOUR MAXIMUM VALUE. TradeSunday – if true, the EA is allowed to trade on Sunday. TradeMonday – if true, the EA is allowed to trade on Monday. TradeTuesday – if true, the EA is allowed to trade on Tuesday. TradeWednesday – if true, the EA is allowed to trade on Wednesday. TradeThursday – if true, the EA is allowed to trade on Thursday. TradeFriday – if true, the EA is allowed to trade on Friday. TradeSaturday – if true, the EA is allowed to trade on Saturday. Почему то работает только в тестере стратегий несмотря на активацию. 1. More trading parameters added! The parameters enable the Expert Advisor to study the historical Price Action of the market before open any trade. 2. Stop loss and profit target parameter names changed.